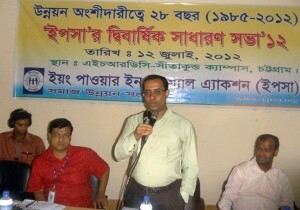 Bi- Annual General Meeting AGM of the YPSA held at HRDC Sitakund Campus Chittagong on 12th July 2012. Md.Shamsuddin Bhuyan (Tutul), President of the YPSA presided the meeting. Mr.Md.Alamgir Hossain, UNO of Sitakund Upazila delivered his valuable remarks as Chief Guest and Mr.Md.Jashim Uddin, Social Welfare Officer of Sitakund Upazila were present at YPSA Bi-AGM as Special Guest . Program Reports (2011-12) and plan(2012-13) presented by Mr. Md.Arifur Rahman , General Secretary of YPSA and Finance reports (2011-12) and Budget (2012-13) presented by Finance Secretary Ms.Yasmin Akter Jugnu . General Members of YPSA discussed and approved about these presented reports, proposed plan and budget were approved for the next year (2012-13). Election of the YPSA Executive Committee EC for the next 2012-13, 2013-14 was conducted by the Election Commission and new EC elected by the general members. 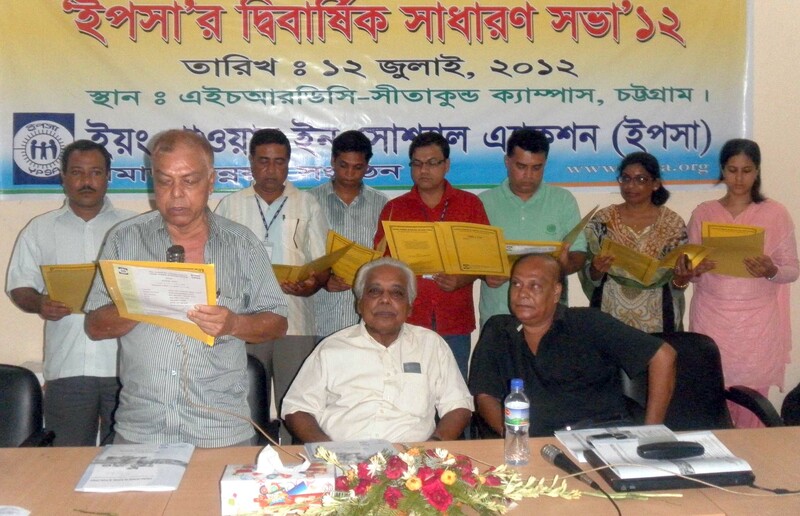 Elected EC members are Md.Shamsuddin Bhuyan (Tutul) as President, Mr. Md.Arifur Rahman as General Secretary, Ms.Yasmin Akter Jugnu as Finance Secretary, Mr.Samir Kanti Sharma , Mr.Liton Chowdhury , Mr.Md.Nurun Nobi and Ms.Dilshad Akter Chowdhury as Executive Member . Bi-AGM was ended by the oath program of the newly elected EC members.